Flying Officer Neil Treherne Lawrence, 129247, 144 Squadron, Royal Air Force Volunteer Reserve. Neil Lawrence was born in 1919, the only son of Ossett solicitor Colin Hudson Lawrence (born 1894) and his wife Winifred Beatrice (nee Burgess) who had married in London in 1918. Neil T. Lawrence was educated first at Ossett Grammar School before going to Giggleswick School as a member of Paley House in September 1932. When he left Giggleswick in December 1936, he was a member of the 6th Form and a Lance-Corporal in the OTC. He went on to study Law at Leeds University and joined the RAF on the 4th September 1939, one day after Britain declared war on Germany. Neil Treherne Lawrence married Audrey H. Bough in the June quarter of 1940 in Hastings, Sussex, but there were no children. Lawrence first flew operationally as a Sergeant Pilot in the Spring of 1941. He took part in the attack in the English Channel on the German ships Scharnhorst, Gneisnau and Prince Eugen, and from then on was engaged in operational flying, except for a break devoted to work on experimental techniques with torpedoes. Lawrence was based at RAF Wick, at the very north of Scotland from the 20th October 1943 to his death in April 1944. He flew the Bristol Beaufighter X. The twin-engine heavy fighter featured a crew of two and was initially outfitted with an impressive armament array of 4 x 20mm Hispano cannons found under the nose and 6 x 7.7mm machine guns mounted in the wings. This armament was quite a powerful installation when compared to many other fighters of the war. 'It is with great regret we have to inform you that in view of the lapse of time and the absence of any news about your husband since he was reported missing, the department now propose to presume his death for official purposes. Before this action can be taken, however, it is requested that you be good enough to confirm that you have received no evidence of his survival'. We understand that the fullest possible inquiries have been made by the family during the last nine months as to his fate, but without result. The intimation now received, although not conclusive, will be deeply regretted by the local public and friends generally, with whom his high-spirited and genial and homely disposition had gained him much respect and popularity. The only son of Mr. and Mrs. Colin H. Lawrence, he was born on February 2nd 1919, and was educated at Giggleswick School. On September 4th 1939, at which time he was studying Law at Leeds University, he joined the RAF, and after training as a pilot and navigator in England, commenced flying in June 1940, going into operations as a Sergeant-Pilot about April 1941. In February 1942, he took part in the historic attack in the English Channel on the Scharnhorst, Gneisnau and Prince Eugen, and from that time he was engaged on operational flying - with a break on torpedo experimental work, just completing, in fact, another tour of operational duty when he was posted missing. Daring Exploits - Prior to taking a commission, he held every NCO rank, including that of Warrant Officer, and during his four years as a pilot, flew over 20 different types of aircraft, took part in over 130 sorties, and made 45 "strikes" in the course of 500 odd operational hours, which stood to his credit. Among his daring exploits was one - officially recorded - in which as a pilot Flying Officer he took part in an action off the Norwegian Coast in which Coastal Command Beaufighters attacked enemy shipping and scored hits on several vessels. The Beaufighters said reports 'pressed home the attack against heavy fire from the enemy convoy as well as from shore batteries. 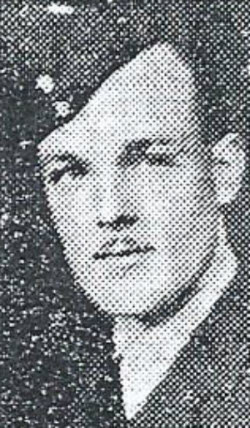 Meanwhile Flying Officer Lawrence attacked a merchant vessel and gained several hits on it'. 'Since joining the squadron, your husband had established himself as one of the best and most enthusiastic pilots. On and off duty he was very popular with all ranks, and his loss leaves a gap in the squadron, which will be difficult to fill'. He leaves a widow, who is Canadian." 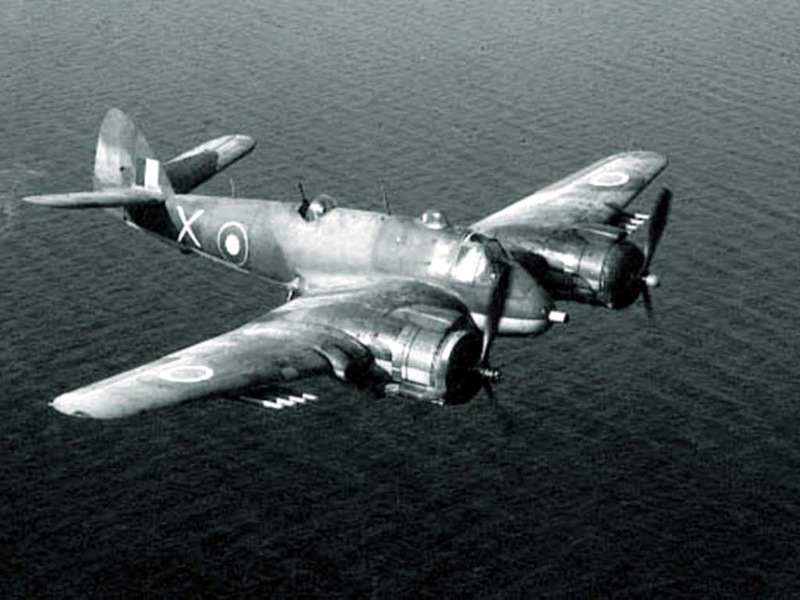 Above: Bristol Beaufighter as flown by Flying Officer Neil Treherne Lawrence. On the 18th April 1944, a Beaufighter TFX of 144 Squadron failed to return from operations in the Maaloy - Floro area of Norway. This was from a group of five Beaufighters of 404 Squadron and four Beaufighters from 144 Squadron. A Messerschmidt Bf110 pilot of 13(Z)/JG5 claimed a Beaufighter, which was probably Lawrence and he was later reported missing in April 1944 and eventually presumed dead. Flying Officer Lawrence died on the 18th April 1944 aged 25 years and is commemorated on Panel 207 of the Runnymede Memorial,3 which overlooks the River Thames on Cooper's Hill at Englefield Green between Windsor and Egham on the A308, 4 miles from Windsor. 1. Extracted from the "Giggleswick Chronicle" Giggleswick School Magazine, Number 197, July 28th 1945.